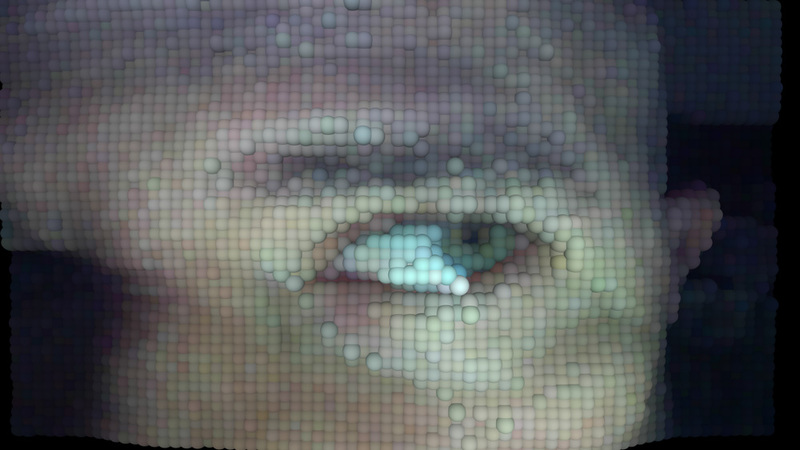 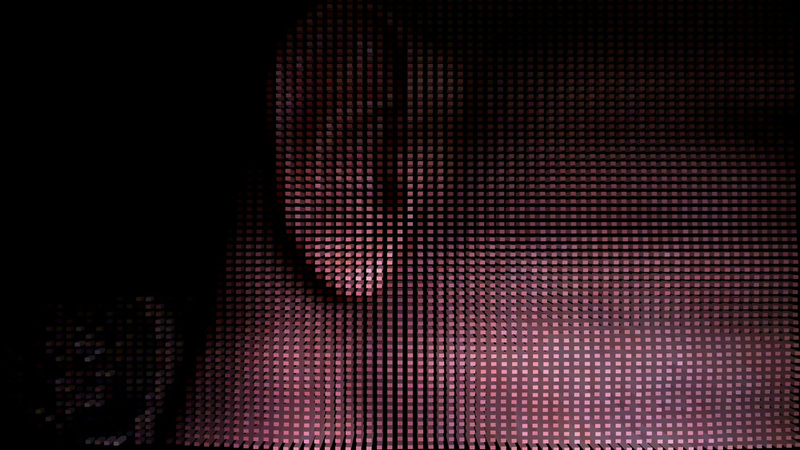 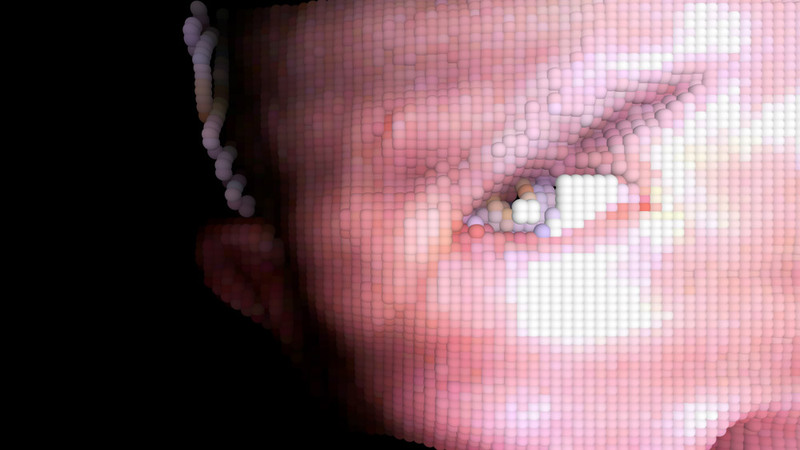 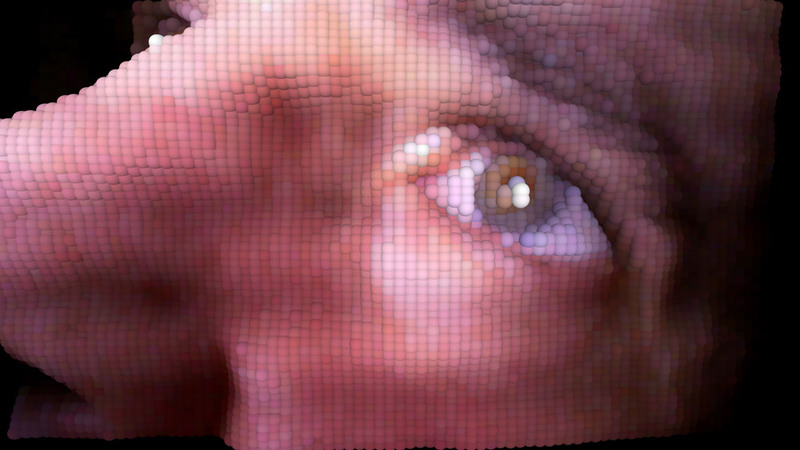 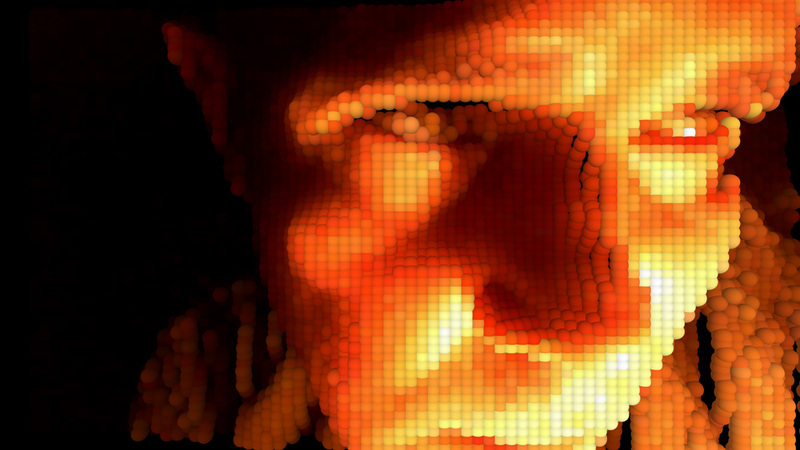 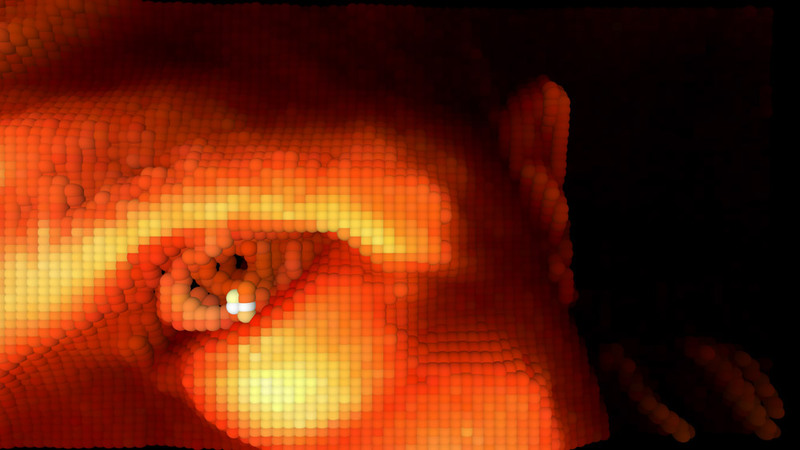 These Self E-Portraits were created using a code I wrote in Processing, an electronic sketchbook for developing interactive media, that captures reality via a simple webcam, and then presents the spatial location of a sphere or the depth of a box in a three-dimensional space in direct correlation to its brightness, preserving the original RGB color. 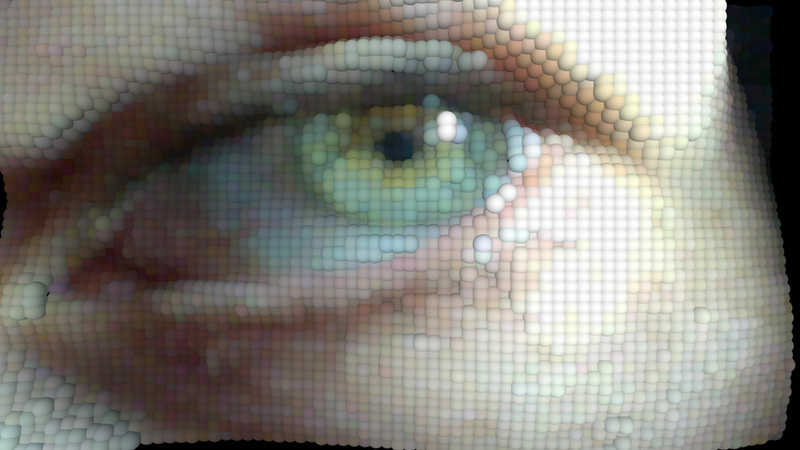 My voyeuristic face is deconstructed, exploded, fragmented and then rebuilt. 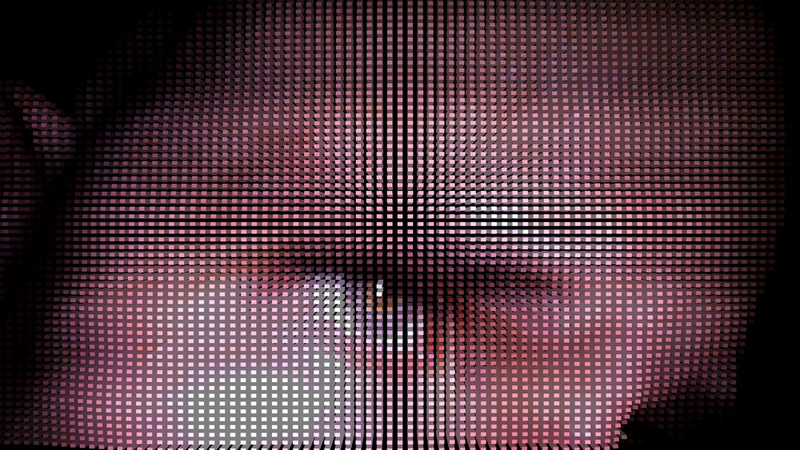 I could only see a fourth of what the final image would be, because of the limitations of the monitor size, questioning the true meaning of narcissism and exhibitionism in the context of a digital autoscopy, leaving room for randomness in a mathematically constructed scenario. 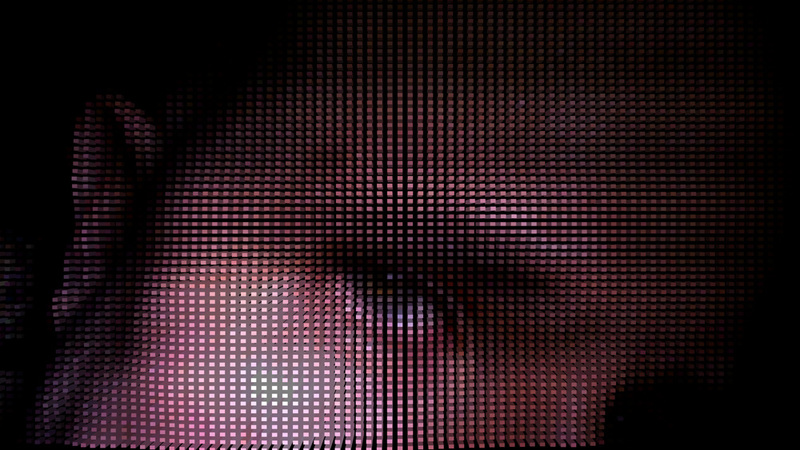 After implementing performance art techniques, lighting experiments/sources, color temperatures, different webcams, and adjusting constantly the laptop memory, only the works in this show were selected out of over a hundred tests to be printed. 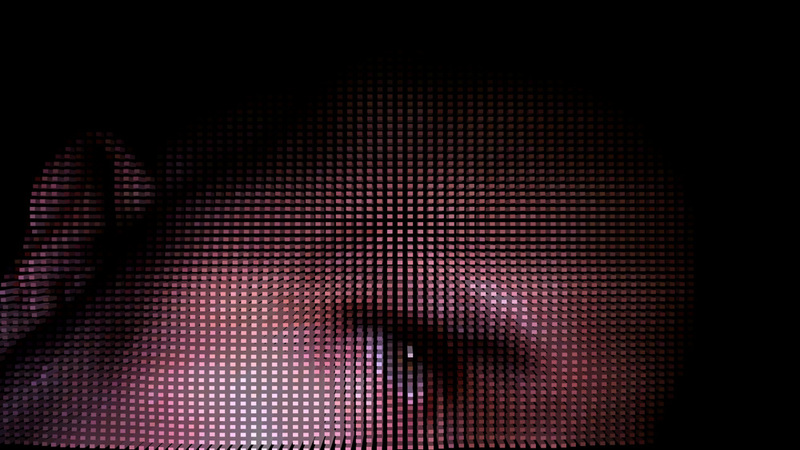 Some people watch TV when they cannot sleep, I write code and fragment myself with digital tools, immersed in a computer screen. 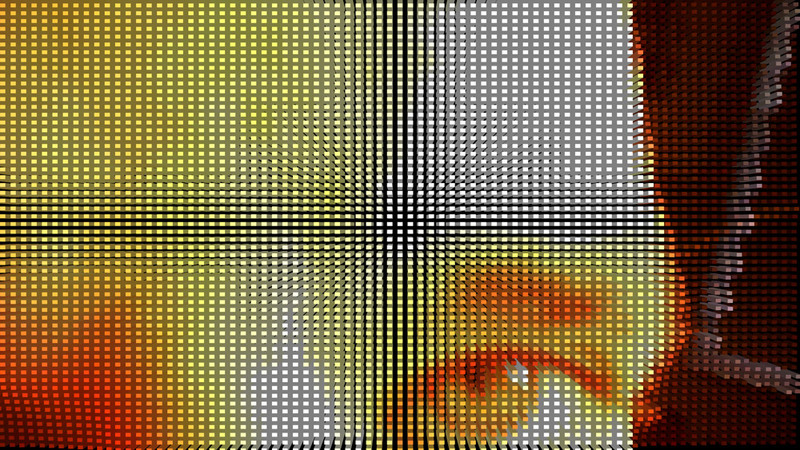 At 240dpi, these images measure 25”x14” / 64x36cm. 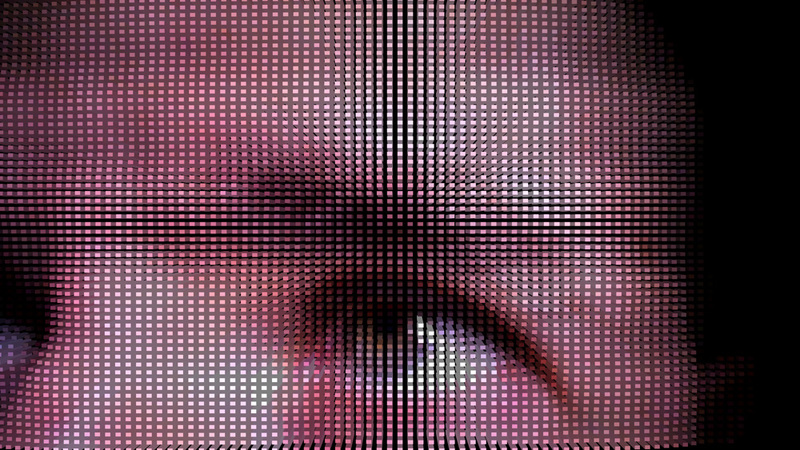 NB: No Photoshop or digital retouching was done to any of these prints.